Situated on an acre of oceanfront property, Sandcastle Pointe not only offers a stunning view of the sea but also a great deal of privacy to enjoy it. 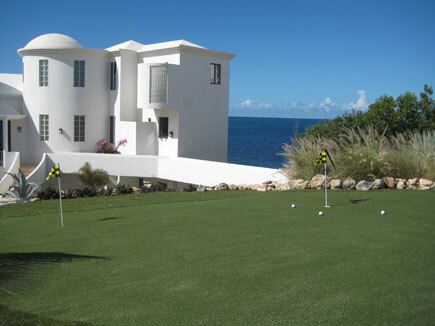 To add to your pleasurable stay are a croquet lawn, putting green, and a bocce court for those periods when a little activity is desired. Want to have a party? The croquet lawn converts into a wedding and reception lawn, perfect for groups large and small. We would be delighted to assist you with your special event planning.